Unfamiliar with digital flipbook software? If you’re a marketer, publisher, or retailer, you’re already at a disadvantage. Flipbook makers are a seamless way to convert standard print files and PDFs into engaging, attractive, and fully modernized digital versions that you can embed into your website, share on social media, and so on. This means you can quickly turn a folder full of PDFs into a magazine or catalog format that can be viewed on web browsers, mobile devices, and more. And if you think that using digital flipbook software requires hours of reading or coding expertise, you’re wrong. Flipbook creation is about as simple as it gets. If you can drag and drop a file, you can make a digital flipbook. Continue reading to see why you need to get on board with digital flipbook making software ASAP. So, did you know that HTML5 flipbooks allow you to reproduce print content in the digital format? Yes, that means any type of document you can design and print for offline use can be fully replicated online. Product catalogs, magazines, books, brochures — you name it. and whatever else you design. 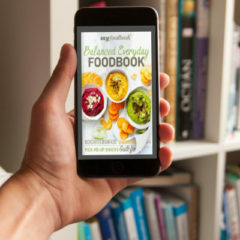 If you have a PDF file of it, you can quickly convert it into a digital flipbook that reads and even turns pages like a physical copy. But it gets better. Not only can you recreate your publication digitally, you can add extra features to it to make it even more engaging. And the best part? You don’t need expert design skills or hours and hours of experience learning the ins and outs of a software program. All you need is a few minutes, your files, and a digital flipbook maker. Keep reading to find out how it all works.